TSE Steel Ltd. fabricates structural and miscellaneous steel. 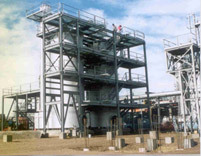 TSE Steel Ltd. has been under the same management since 1972. The company was incorporated in 1968 as Triangle Steel Erectors Ltd., becoming TSE Steel Ltd. in 1996. TSE Steel Ltd.’s proven track record of safety and service has established it as one of the most respected companies in its field. 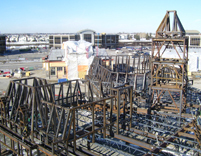 Based in Calgary, Alberta, TSE Steel Ltd. services the needs of both the commercial and industrial sectors for all types of steel fabrication needs. TSE Steel Ltd. employs thirty-seven people at its advanced fabrication facility, while its field crews range from fifteen to thirty ironworkers at any given time. 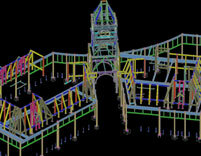 Our entire team is committed to helping you complete your project safely, on budget and on time. Erection of Quarry Park: Building "C" has started!